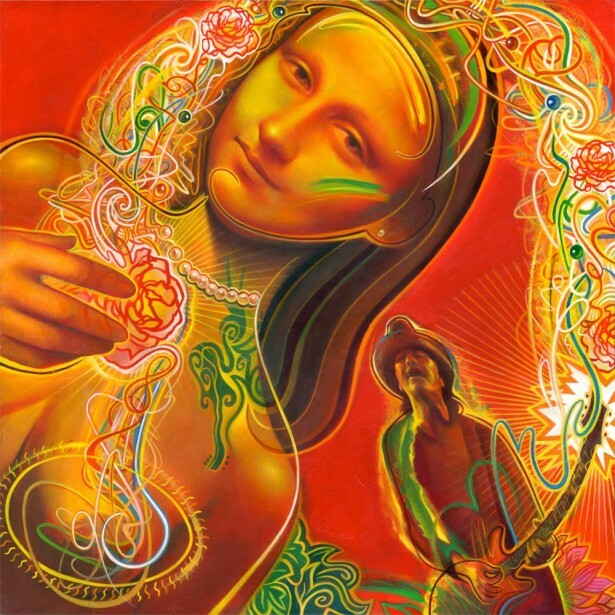 Altpick.com : News : Rudy Gutierrez's Cover Art for Santana's Latest EP "In Search of Mona Lisa"! Rudy Gutierrez's Cover Art for Santana's Latest EP "In Search of Mona Lisa"! “Three spellbinding and transportive new songs takes listeners inside a magical and deeply personal experience Carlos had when he visited the Louvre Museum and set his eyes on Leonardo da Vinci’s beguiling masterpiece. The EP was released on January 25. 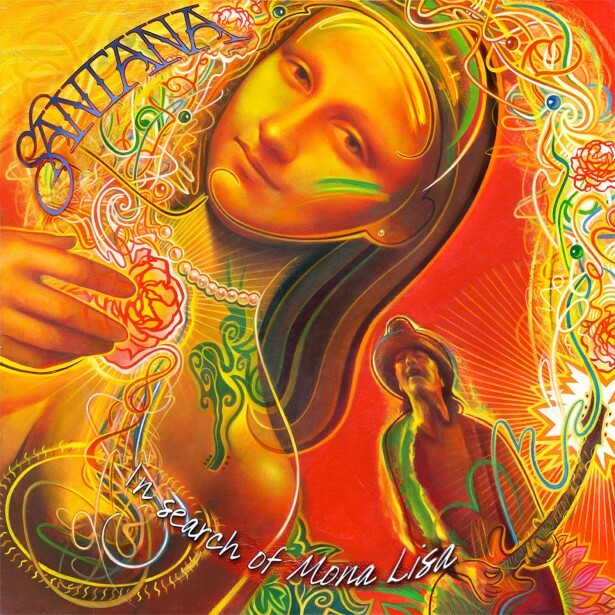 [ Copyright Santana/Gutierrez ] SANTANA'S 5 song EP "In Search of Mona Lisa" features the art of Rudy Gutierrez as does the video for song Do You Remember Me?